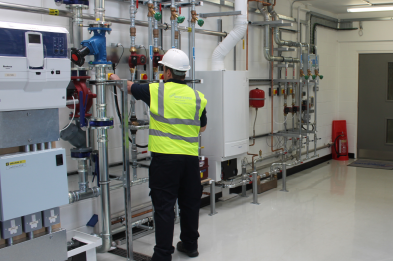 Our fully qualified commercial gas and gas catering engineers are experienced in the design and installation of commercial heating systems and kitchens. 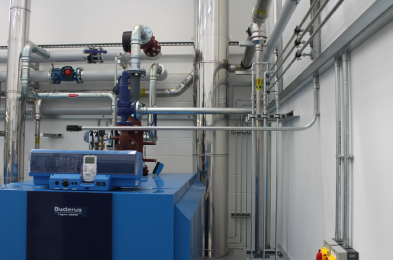 We know that performance, reliability, value for money and efficiency are key for our business customers and our designers, have this at the forefront of their minds when planning commercial heating system, boiler installations, solar installations and commercial kitchens. Our team of gas engineers, plumbers, electricians, chartered engineer and chartered environmentalist have the equipment and experience to deal with commercial heating repairs, commercial boiler repairs, system upgrades, renewable energy systems, safety inspections and commercial kitchen appliance repairs, services and installations. Our client's premises are multi occupant office buildings, schools, churches, bars, restaurants, listed buildings, stately homes, large domestic dwellings, hotels, nurseries and golf clubs. For more information and a no obligation estimate please call 0800 8247 989 or contact us.